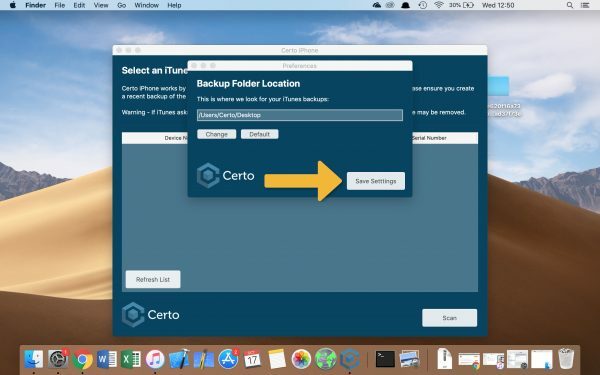 Follow these instructions to change where Certo iPhone looks for your iTunes backups. 2. 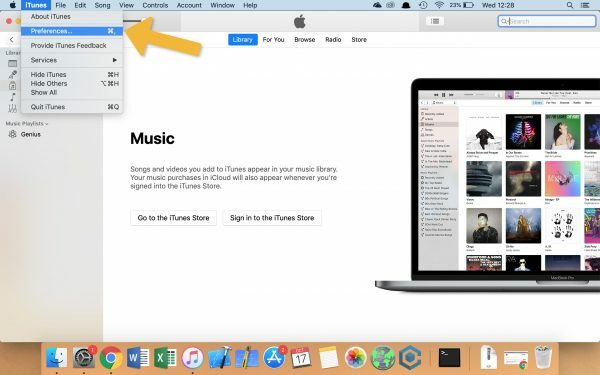 Select ‘iTunes’ from the top menu bar and then click ‘Preferences’. 3. Click the ‘Devices’ tab. 4. 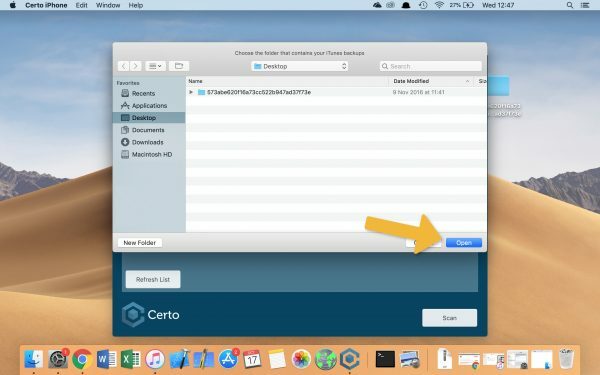 Find your backup in the list, ctrl-click it and then select ‘Show in Finder’. 5. 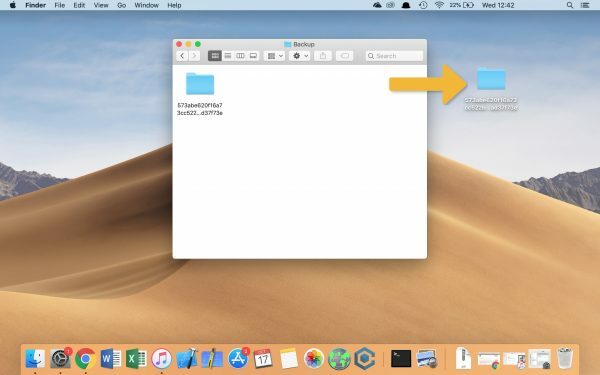 This will open a finder window with your backup highlighted. 6. 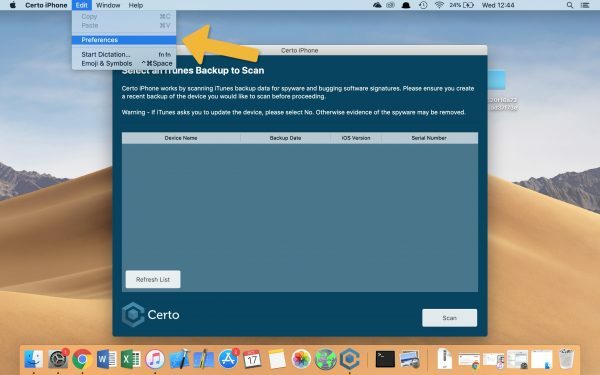 Copy and paste the whole backup to your desired location. 8. 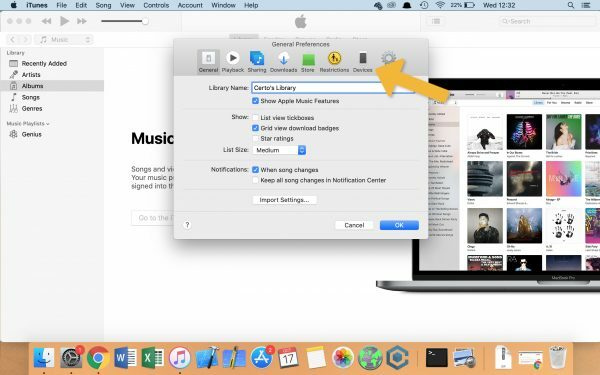 Select ‘Edit’ from the top menu bar and then click ‘Preferences’. 10. 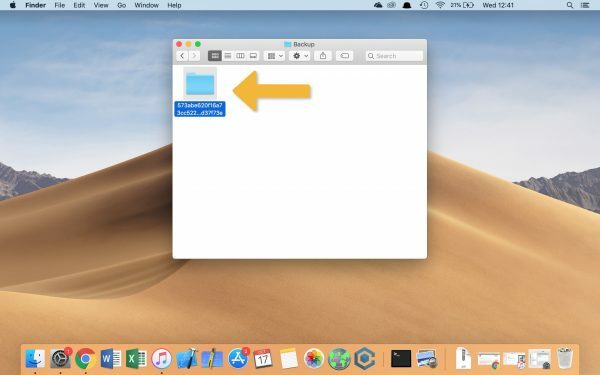 Select the folder where you copied your backup in step 6 and click ‘Open’. 12. 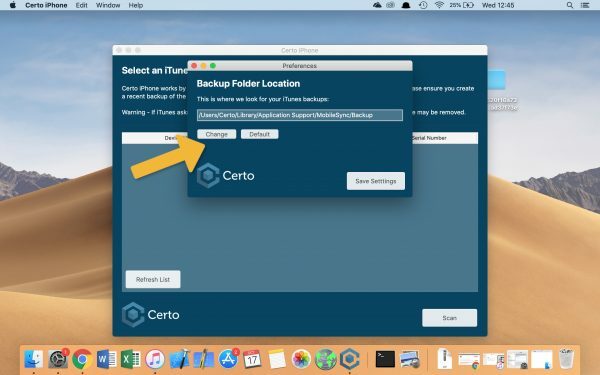 Certo iPhone will now always look in this location for your backups. 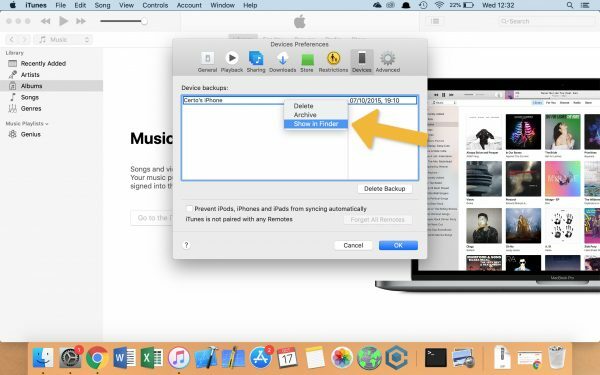 If required, repeat the steps above this time clicking ‘Default’ to change back to the default backup location.